Mobility scooters come in 3 and 4 wheel configurations. There are transportable light-weight models that break down into several components, and standard scooters. Portable scooters can support up to 325 pounds and have a shorter range than standard models. Standard scooters are able to handle more weight and have a larger battery capacity. Heavy-duty scooters can accommodate users up to 500 pounds and have a wider seat and larger batteries. 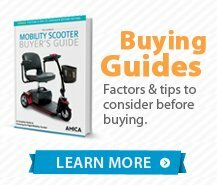 When selecting the right mobility scooter (sometimes known as power operated vehicles, or POVs), there are a number questions you should ask yourself. First, where will you most often be using the scooter and how often will you be traveling. If you are the type of person that travels quite a bit, go with a portable scooter. If going off-road is your thing, go with a scooter with the specs that reflect that, i.e. larger ground clearance, larger drive tires, etc. 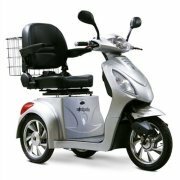 There are a wide variety of mobility scooters available to suite your lifestyle and needs. 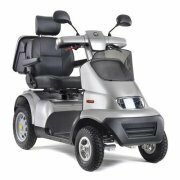 Categories include: Heavy Duty, Luxury, Pediatric, Portable (Travel), Sport, Standard. 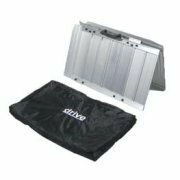 Portable (Travel): If you are one that likes to go on trips with your grandchildren or needs to travel often, a Portable/Travel Mobility Scooter is for you. It definitely helps that the scooter be light, as most are, but be sure to check the total unit weight of the scooter. The ability to fold is also an important aspect to look out for. Heavy Duty: Heavy duty mobility scooters are the big mamma jammas of the industry. They are meant to take a beating and carry a lot of weight. So if you are on the heavier side or need to carry heavy loads (groceries/equipment/or even grandchildren), these mobility scooters are for you. Standard: These standard mobility scooters are your all-purpose scooters that have a bit of everything and thus range in the middle of pack among all mobility scooters. Pediatric: Pediatric mobility scooters are ones that are designed specifically for children. They are, of course, smaller than other mobility scooters and their specs reflect that as well (lower weight capacity/lighter/etc.). Luxury: These are considered the cream of the crop. They come with all the bells and whistles and look great too. Be careful though as some manufacturers might use this title just for marketing purposes. Compare the specs against of other categories to truly find the best for you. Sport: Sport mobility scooters are for the speed devils out there. In terms of specs, they're a bit faster, look a bit sleeker, and sometimes are themed (i.e. the scooter might use actual motorcycle parts). Choose wisely. Ground clearance is how high above the ground the mobility scooter sits. Ground clearance is important for you outdoor aficionados out there. You are going to want as high a ground clearance as possible so you don't worry about rocks or bumps in the road. The weight capacity is the maximum weight the scooter can hold. 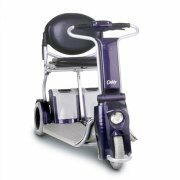 It is important to know the weight capacity of your mobility scooter as you do not want it breaking down out of dilapidation and over use. The operating range is the distance the mobility scooter can go on one charge. 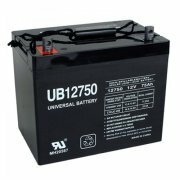 Remember, operating range will vary due to rider weight, drive surface, age of battery, terrain, etc. The turning radius of your mobility scooter refers to the diameter length of the circular path while turning. This is important depending on where and how often you will be using it. If your primary reason for using a mobility scooter is for indoor use, you are going to want one with a higher turning radius. This will help you maneuver around your house (including hallways, bathrooms, kitchens, etc.) with ease. The unit weight is how much the scooter weighs. 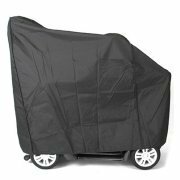 Knowing the overall weight of your mobility scooter is important in case you want to transport it or travel. Amica Medical Supply does not bill Medicare or insurance companies and therefore does not accept Medicare or Insurance as payment. We suggest you contact them directly to find out eligibility requirements. 1. You can buy from us using your credit card, and have it delivered to your door in 3-4 days. 2. If you do not want to outlay any cash. We recommend that you find a local company that accepts Medicare assignment (up front). It should be noted; your paperwork must be filled out, submitted and approved before you receive any equipment. 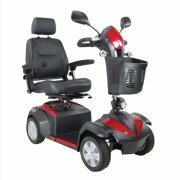 Additionally, Medicare and insurance have only approve specific equipment for use, i.e. you'll have little or no choice.